First is to thoroughly clean your driveway or patio of weeds, algae, moss and general dirt. The return visit, once dry is to then sand your driveway using kiln dried sand and seal your driveway or patio with a Resiblock sealer to protect and prevent the growth of weeds. There are two different types of finish we offer, The most popular is a Matt finish this will solidify the joints and leave a Matt finish. There is also a Gloss finish which has the same benefits of a Matt finish, but will make the surface shiny and more prominent. 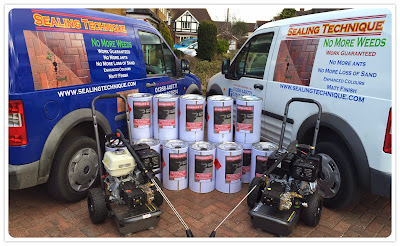 A popular paving in domestic rear gardens is Indian Sandstone/Natural Stone and we at Sealing Techniques specialise in sealing these products with Resiblock indian sandstone sealer which will enhance the appearance and prevent staining. 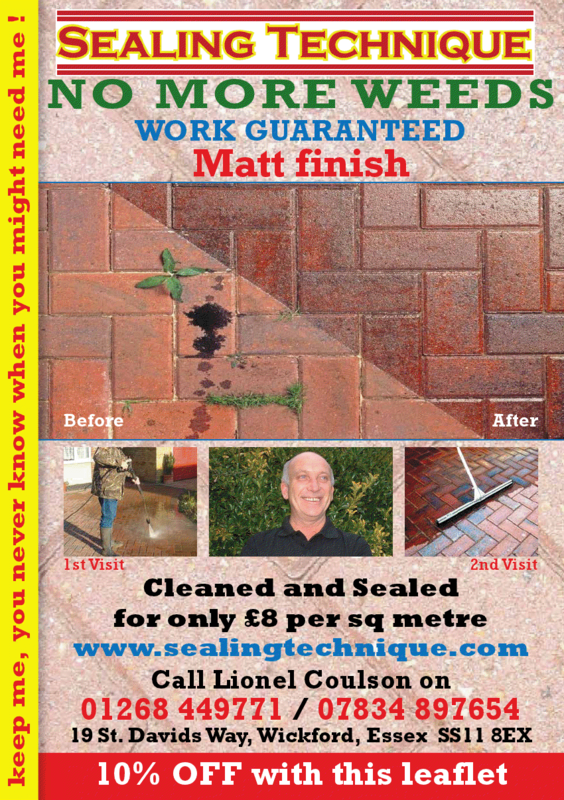 We are registered installers with Resiblock this is the best solution to your paving problems so Lets make weeds a thing of the past. 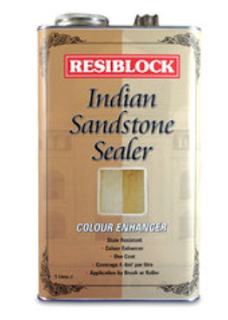 We only use Resiblock, not an imitation sealer. 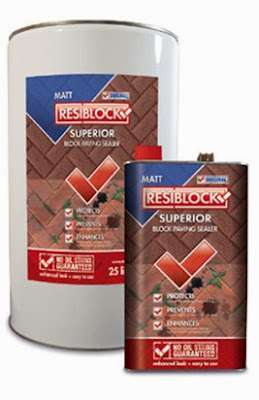 Resiblock is the Europe's leading brand in paving sealer's and been established for over 20 years.